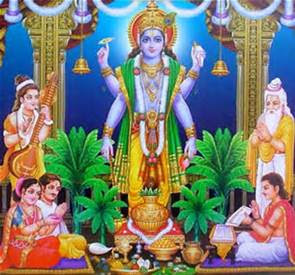 Sathyanarayana Swamy is the most benevolent form of Vishnu. He grants His devotees all the material and spiritual blessings they ask of Him. Sathya Narayana Puja can be performed by all members of the family, including the children. Usually, the puja is performed before the start of any special endeavor to get the divine blessings. Performing this puja grants peace, happiness, prosperity, and abundance in one’s life. Devotees registering for the puja need to bring, fruits, flowers, coconuts, coins, paan leaves, betel nuts, and prasad to offer.